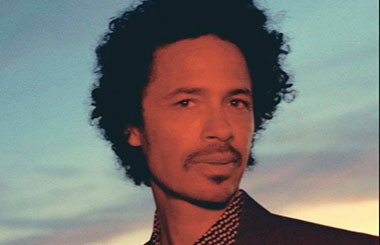 Eagle-Eye Cherry was a few years ago not convinced that he would continue to wander the artist path. But a series of happy circumstances turned the hesitation into a series of exclamations. This has now led to the album “Streets of You”, his fifth since the 1997 debut album “Desireless”. “I had begun to appreciate being anonymous again. Being able to hang around with my family. Play football on weekends. In addition, like many other musicians of my generation, I felt quite lost to the new era of streaming songs instead of albums” reflects Eagle-Eye Cherry today. The exact location of Eagle-Eyes newly found euphoria was Blackbird Studios. For the last two decades Blackbird has been among the most celebrated recording environments in popular music. Cherry also fell in love with place while he recorded a couple of songs there. After transforming that feeling into the actual plan of an entire album, the recordings continued in Sweden’s possible counterpart, The Atlantis studio in Stockholm, home of recordings with everyone from ABBA to Elvis Costello and on. With “Streets of You”, Eagle-Eye Cherry wants to revive the general feeling he and his fans had in particular in 1997 – from the breakthrough with “Save Tonight” – and up to a few years into the 21st century. During that period Cherry was a beloved institution at clubs, theaters and festivals throughout Europe, but also in his second major market, Brazil (“I was in a surf movie there and got a faithful core audience that remains til this day”). In the long run everything became a little hysterical, with the pace of tours, public relations and recordings. Eagle-Eye Cherry 2018, an artist who found the way back to the core of his art.